Union Minister VK Singh will reach Amritsar followed by Patna and Kolkata to hand over bodies to the relatives, officials said. Union Minister VK Singh is expected to bring the bodies of Indians killed in Iraq back to India today. New Delhi: Union Minister of State for External Affairs VK Singh will today bring back the bodies of the 39 Indians, killed in the war-torn country, officials said. Last month, External Affairs Minister Sushma Swaraj had told Parliament that 40 Indians were abducted by ISIS from Mosul in Iraq in June 2014, but one of them escaped posing as a Muslim from Bangladesh. The remaining 39 were taken to Badoosh and killed, she had said. Of the Indian citizens killed by the terrorist organisation, 27 belonged to Punjab while four hailed from Himachal Pradesh. Families of some of these victims had met External Affairs Minister Sushma Swaraj in New Delhi on March 26. According to the schedule, Mr Singh will reach Amritsar followed by Patna and Kolkata to hand over bodies to the relatives, officials said. Union minister VK Singh was criticized for his retort over compensation for grieving families. After arriving via a special C-17 transport plane which accompanied the coffins of Indians, VK Singh was asked by reporters about compensation for the families of the 38 Indians who were killed in Iraq. He shot back, saying that this was "not like distributing biscuits". "Yeh biscuit baantne wala kaam nahi hai, ye aadmiyon ki zindagi ka sawal hai, aa gayi baat samajh mein? Main abhi elaan kahan se karoon? Jeb mein koi pitaara thodi rakha hua hai (This is not like distributing biscuits, this is about the lives of the people. Understand! How do I make the announcement now, I am not carrying anything in my pocket)," he said. Derek O- Brien Slams VK Singh, Calls Him "General Foot in Mouth mantri"
Derek O' Brien has criticised General VK Singh in a tweet, calling him "insensitive". In the tweet, Mr O' Brien called Mr VK Singh "General Foot in Mouth". Union Minister of State for External Affairs VK Singh and other officials carry the mortal remains of the 38 Indians, which are being brought back to India from Iraq. Harjit Masih was the only survivor among the 40 Indians kidnapped by the terror group ISIS in Mosul. The 24-year-old was part of the group that was kidnapped in 2014 while trying to escape an ISIS siege on June 11, 2014. 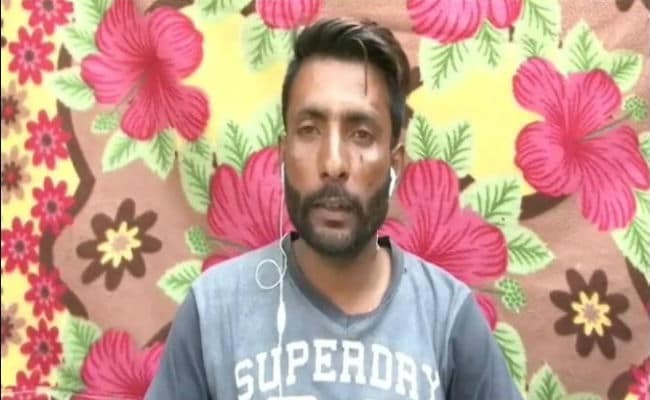 Sticking to his stand that all the Indian workers, including him, were fired at by terrorists, Harjit Masih told NDTV that he had used a different name as "they would have killed me if I had said my name is Harjit and I am an Indian." 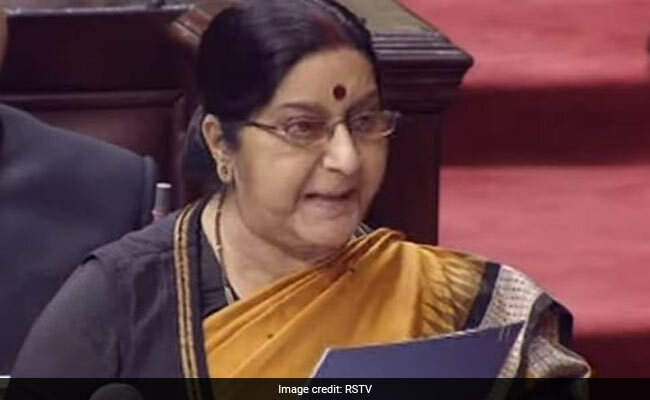 As many as 40 Indians were abducted by the ISIS terror group from Mosul in Iraq but one of them escaped posing as a Muslim from Bangladesh, External Affairs Minister Sushma Swaraj had said in Rajya Sabha. Search operations led to a mound in Badoosh where locals said some bodies were buried by the ISIS. Deep penetration radars were used to establish that the mound indeed was a mass grave, she had said, adding the Indian authorities requested their Iraqi counterpart to exhume the bodies. Ms Swaraj said the mass grave had exactly 39 bodies, with distinctive features such as long hair, non-Iraqi shoes and IDs. The bodies were then sent to Baghdad for DNA testing. DNA testing by Martyrs Foundation established the identity of 38 Indians while there has been 70 per cent matching of the DNA for the 39th person, she had said.